Navigating the responsibilities of adulthood can be challenging for anyone, but particularly for those just starting to branch out on their own. All too often, young people dive into a life of independence and find themselves overwhelmed because there is so much they didn’t stop to consider. Budgeting and finances are very often at the top of that list. 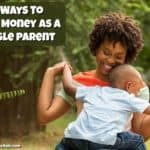 It is common for even the most prepared to be faced with the struggles of paying bills and managing day-to-day finances, whether their parents have discussed it with them or not. Young adults are ruining their credit and taking on large amounts of debt because they don’t fully understand the impact that their choices make long-term. 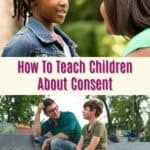 Don’t let your child – or yourself – be that guy! Instead, do your homework and avoid these common budgeting mistakes that young adults often make. The #1 reason young adults fall into debt is because of the way they use their credit cards. As soon as they reach the age of 18, they are bombarded with tempting offers. And who wouldn’t take them?? You’re offering me free money up to $5,000 and I don’t have to pay it back right away? Score! Which is exactly what gets someone into trouble. Since they aren’t paying out of pocket right away, they don’t see the real costs of their purchases. They haven’t considered the APR and fees that will be incurred on that $5,000 and before they know it, they’ve spent more than they can afford to pay back. Being overwhelmed with the consequences of their spending, one general reaction is to try to ignore it. Bills come in month after month and eventually result in debt collections and negative marks on their credit report. That is tough to come back from, particularly if they can’t pay off the now doubled debt that they weren’t expecting. That said, having a credit card is extremely important for building up one’s credit history. 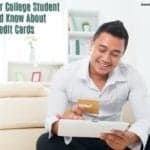 Be sure to educate yourself or the young adults in your life about how credit cards work. Learn how to choose a great card with a manageable rate, and only using the card for purchasing budgeted items or those that you can pay off right away. (Using a credit card only for gas purchases is a great way to manage spending while building your credit!) The last tip in this area? Be sure to pay your credit card statements on time. It’s not uncommon for young people to be living paycheck to paycheck with no regard for a budget. This isn’t because they’re against budgeting or being irresponsible, it is usually just as simple as – they just didn’t know. Those that have attempted a budget probably haven’t taken into account all of their spending habits (although kudos to them for trying! ), but those little things really do add up. 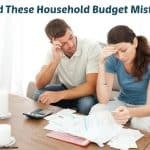 Most people hear “budget” and think that they have to live a frugal lifestyle and account for every single penny in a spreadsheet, but that’s not the case. Putting together a basic budget (rent, utilities, groceries, cell phone, etc.) is incredibly important, but you can also have a ‘fun money’ category. That can go towards your coffee, the movies, dinners out – whatever you want, as long as it stays within the limits of the money allotted. The idea is to live responsibly with a balanced budget and a balanced lifestyle. Since rarely is a budget in place, you can expect that many young adults start out living beyond their means. They “think” they can afford everything (you never realize how much toilet paper costs until you have to buy it yourself for the first time!) and are usually off by quite a bit. Rent and mortgage is the number one expense that causes people, young and old, to live outside of their means. And if one can afford to pay for their residence, they often don’t consider how much their cell phone, Netflix, groceries, coffee, and gas cost. A $3 coffee each morning will cost you $1,095 throughout the year. Those numbers seem very different if they’re not considered up front! 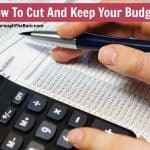 Be sure to truly consider what everything costs to keep from living beyond your means and use these cost cutting ideas to make your money stretch even further. Most people who are struggling with finances – as most young adults do when they are just out of the house – are doing well just to keep their heads above water. The last thing they are thinking about is an emergency fund. Unexpected things happen. Putting money aside for unforeseen major expenses should be built into your budget from a very young age. You can’t predict when you’ll need car repairs, money to cover hospital bills or other costly items, so this is an important habit to get into. If you don’t have money on-hand when something happens, you can find yourself in major financial trouble. 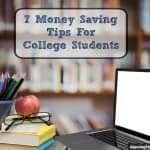 Whether you are a young adult with parents who are helping out or someone who is fully independent, you might want to train yourself to live a budget lifestyle (using coupons, shopping sales, saving on your grocery bill, making easy college meals, etc). In the beginning it may feel strange if it is not what you grew up with, but you will reap the benefits of an emergency fund and even a savings. There is a peace of mind in knowing that you had the willpower to save some money and if anything happens, you have a financial cushion tucked away. And if you don’t need to use it for an emergency tomorrow, keep adding to it. It will be there for you when you need it – and eventually you will need it. For lack of a better way of saying this, combining finances with someone else is a BIG MISTAKE! There is nothing like young love to make you feel confident enough to combine your banking and finances with a significant other, but… don’t. Seriously, don’t. The love of your life can be just that. It is amazing when you feel close enough to want to share every single thing in your life with someone else, but your bank account and your credit cards have to be the very last thing. When you walk down the aisle with this person, talk about comingling finances. AFTER you walk down the aisle. AFTER you have complete trust in the person, and AFTER you have sat down and put all of your financial information on the table. Everything that they need to know about your finances and everything you need to know about theirs. This cannot be one-sided. At that point, talk about comingling, but not before. Looking at statistics alone, the odds are against young couples being together throughout their entire adult life. I’m not saying that’s a good thing or a bad thing, I’m just sharing the facts. 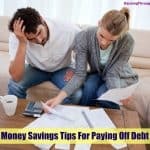 The last thing you want is the hassle of splitting up finances in a year or two or – worse case -your hard work and savings going out the window. Unfortunately it does happen, and all too often. Your partner should want to protect their finances as much as you want to protect yours. You are not protecting them from each other. You are doing the best that you can to better yourself. Your partner should want the same thing. If they don’t, you need to ask yourself why that may be. If somebody loves you, they will want what is best for you. 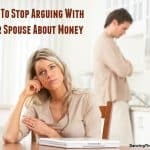 If keeping your finances separate until you’ve made a legal contract with each other (i.e. marriage) threatens them in any way, you need to figure out why that is. Be smart. You don’t have to be one of the many young adults who will end up in debt. Play it smart and heed the advice of those who have been through it, those who have come before you, and those who have already made the mistakes. If you start with the tips above, as well as the awareness that finances are a lifetime balancing act and jigsaw puzzle, you’ll be in good shape for moving forward. Make smart decisions now and your future self will thank you for it, I promise!